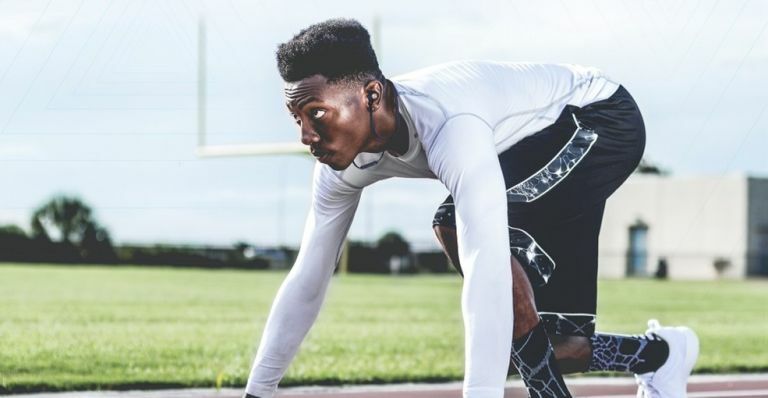 Creative Technology has just unveiled its latest audio product, a set of in-ear headphones that are wireless, sweat-proof and juiced up with enough power to support even the longest training session or run. The Creative Outlier Sports Sweat-proof Wireless In-Ear Headphones are all about letting you enjoy your playlist of choice without worrying about said buds slipping out of your ears due to an excess of sweat. They also support high-definition aptX Bluetooth codec, ensuring you get the highest quality wireless playback when used with your smartphones. The headphones also feature an invisible built-in microphone that supports HD Voice and ClearSpeech Engine technology for excellent phone calls. At just 15 grams in weight, and with a huge 11 hours of playback on a single charge, these in-ear headphones are must for anyone leading an active lifestyle. The Creative Outlier Sports Sweat-proof Wireless In-Ear Headphones is available now for £49.99, direct from Creative Sports Outlier. If you're the kind of coffee lover that wants to enjoy that freshly-ground aroma, despite having a busy schedule, then you're probably in the market for a Cafflano Klassic Portable Coffee Maker. The Cafflano comes complete with a water pourer, hand grinder, built in filter and insulated mug. Just add your favourite coffee beans and hot water to create an impeccable partnership and make the best brew around. You can choose your preferred level of coarseness from the grinder’s adjustable click stop, then put those arms to work. When all the beans are ground, remove the grinder and you’ll find all the grounds waiting neatly in the Cafflano’s built-in metal filter below. The Cafflano Klassic Portable Coffee Maker is available now from The Foundry for £79.99. De'Longhi EC680.BK Dedica Coffee Machine now £99.99 for today only! If you're an avid golfer in need of a little tech to improve your game, how about investing in the sleek new Appraoch G30 GPS from Garmin? The Approach G30 has a 2.3-inch colour touchscreen with full course mapping of more than 40,000 courses around the world plus free map updates. With features such as Green View and Touch Targeting, you have the most accurate yardage information, as well as the ability to track stats and performance over each round and over time. The Approach G30 is compatible with the Garmin TruSwing™ analyser, so when paired together, users will have access to data like swing speed and club path angles, which can be used to improve swing consistency. With 15 hours of use on a single charge and an IPX7 water rating, the Garmin Approach G30 is available now for £269.99. Best cheap AirPods deals 2019: AirPods 2 get a price cut already!